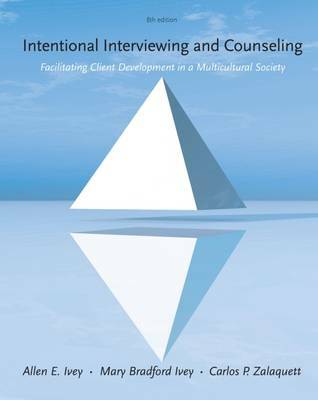 Master interviewing skills with INTENTIONAL INTERVIEWING AND COUNSELING: FACILITATING CLIENT DEVELOPMENT IN A MULTICULTURAL SOCIETY, 8th Edition. This book gives you the tools to adapt your skills to address both individual and multicultural uniqueness, conduct interviews using five different theoretical approaches, and begin developing a personalized style and theory of interviewing and counseling that matches your own aptitudes and affinities. Case studies, sample interviews, and a "Portfolio of Competencies" are just a few of the many tools that will help you master the material and become a better listener.